If the lord closes one door, he opens another – and the new one might be a lot more sanskari. After restaurants across India were reeling following a supreme court order which prohibited the sale of alcohol along state highways, they’ve received help from an unlikely source. Amul has offered that these restaurants – which collectively stare at losses of Rs. 10,000-Rs. 15,000 crore – set up Amul bars instead. “We invite all these 16000 liquor shops/ bars to open Amul milk bar for gainful employment and healthy nation building,” tweeted R. S Sodhi, Managing Director of the Gujarat Cooperative Milk Marketing Federation which runs Amul. 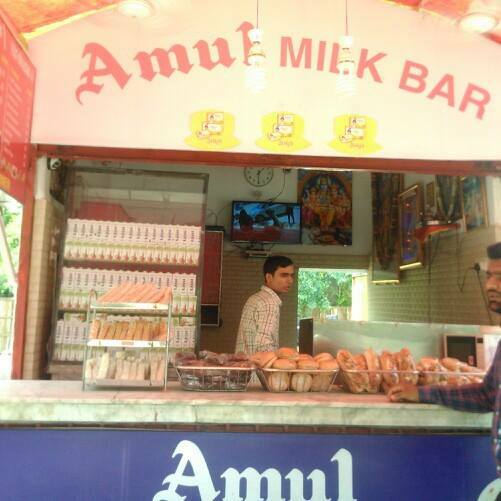 Amul Milk Bars already operate in several cities in the country, and sell products such as milk, lassis, ice creams. Replacing liqour with lassi might be a difficult transition for bar owners, but the industry needs all the help that it can get after the supreme court order. As many as 10,000 people are expected to lose their jobs, and state governments might have to forgo revenues to the tune of Rs. 65,000 crore. Several prominent outlets such as the Taj, Oberoi, Hyatt and Accor will also have to stop serving alcohol to guests in establishments which are within 500 metres of a state or national highway. Amul, though, is no slouch when it comes to big business itself. The group had revenues of $3.4 billion in 2014-2015 (Rs. 2,21,000 crore) and has 36 lakh milk production members. But still retains a certain old world bureaucratic charm – Mr. Sodhi talked about nation building, and chose to sign off his tweet with his full name. If these five star chains do decide to take up Amul’s offer, it will be a clash of cuisines – and cultures.